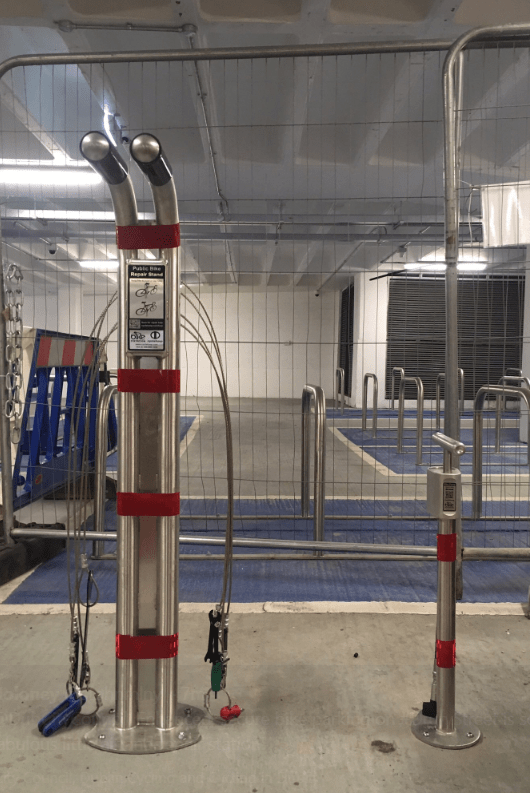 An upgrade of the Drury Street bicycle parking unit is nearly finished. 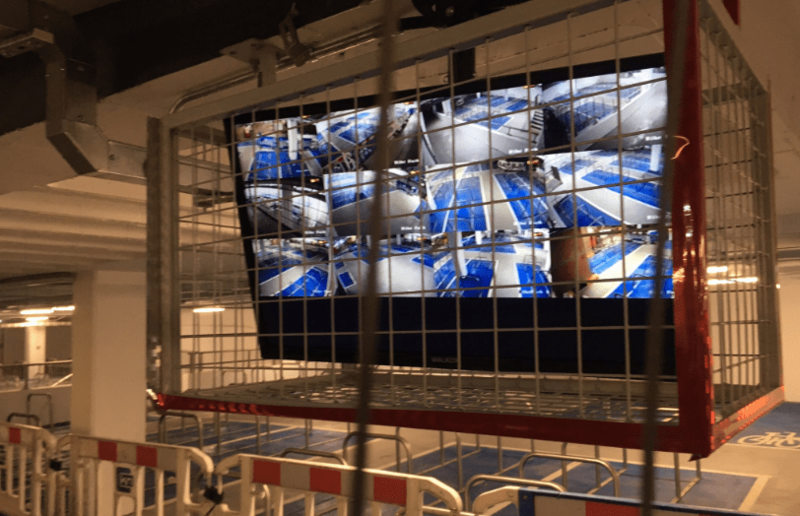 The expansion of the unit increases the number of bicycle parking spaces from a capacity of around 196 spaces to 356 spaces. Stephen Moloney, who shared the images, tweeted: “Nice one, @DubCityCouncil. Enhanced, secure bike parking on #DruryStreet is so welcome. Including fabulous little air and repair station!” (pictured, right). 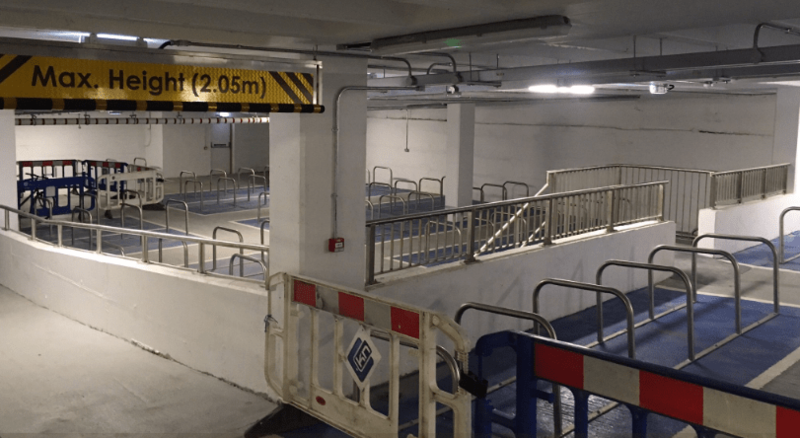 The bicycle parking unit — which is on the ground floor of the Dublin City Council-owned Drury Street car park — was originally developed by removing car parking spaces. The original area shown above was revamped, while the first image below shows the expanded area in a lower part of the building, which was previously a private storage room. Delighted this is nearly finished. I was able to park my Bicycle about two weeks ago on the slope of the way up the Carpark, they had put Bike Parking in on either side. Hats off to DCC, nice work.